The G20 group of major economies spend $88 billion a year on fossil-fuel exploration, five years after pledging to phase out industry subsidies, a study showed. NYT: Hyundai and Kia will pay a combined $100 million for overstating their fuel-economy standards. 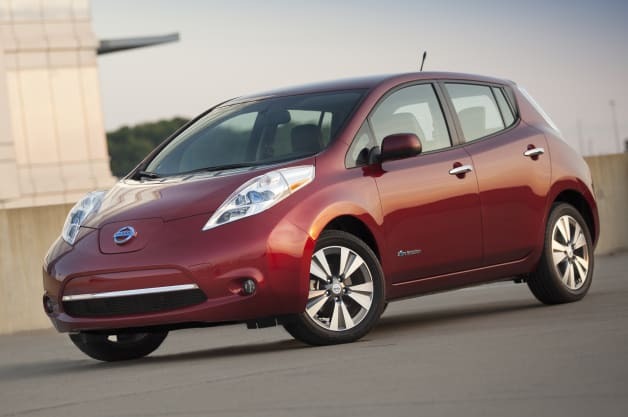 Autoblog: Through the end of September, Nissan sold 21,822 Leafs and has been selling more than 2,000 a month for the last seven months (in some cases, over 3,000). Green Car Reports: That city's municipal government has ruled that Tesla buyers will be exempted from paying the registration fee required to obtain license plates. AP: European Union leaders agreed early Friday to cut greenhouse gas emissions in the 28-nation bloc to at least 40 percent below 1990 levels by 2030. Daimler has sold off its Tesla shares for a large profit.